We asked our customers what issues they face in the garden and the top responses were Weeds and Bugs. Today we're going to tackle the Weeds issue. 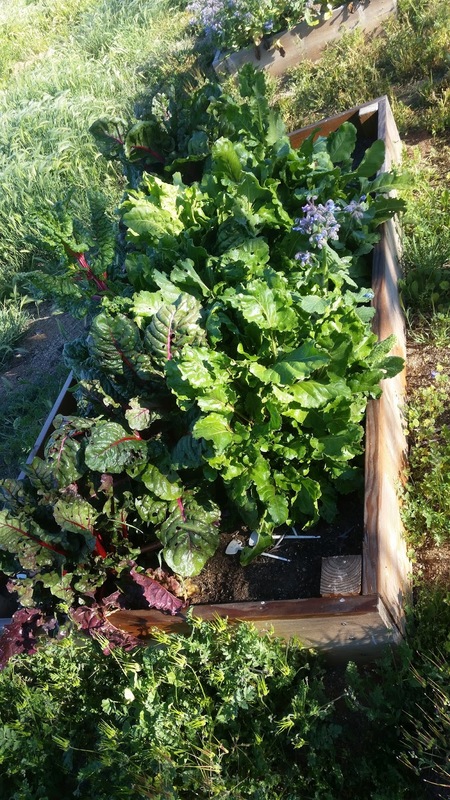 Because of gophers and rabbits, all of our gardens are raised beds. This isn't economical for everyone but it keeps out pests and weeds! When we built our beds, we laid out cardboard under the beds. Each raised bed also has gopher wire or chicken wire stapled to the bottom. Plenty of weeds around the outside of the beds and just veggies growing inside the bed! 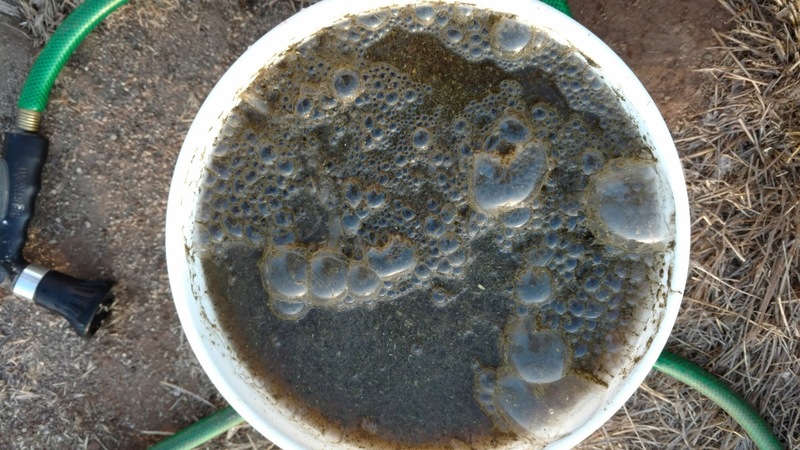 Boiling water – this is more effective than many expensive chemical herbicides. Just boil water and pour it on your weeds, but do NOT pour it on your plants because it will kill them too. In fact, it will kill anything you pour it on, including the beneficial creatures, so use with caution. Vinegar – this works best on young plants because it will not kill the roots of well-established plants. For tougher weeds spray several days in a row to kill the weed leaves, just be careful not to spray your plants! IF you choose to use a spray, even organic, please be aware that it will kill your veggies as well as weeds. DIY organic sprays are a much safer alternative than synthetic chemicals and are great for sidewalk cracks where weeds spring up. Dandelion leaves can be harvested at any point in the growing season, and while the smaller leaves are considered to be less bitter and more palatable raw, the bigger leaves can be eaten as well, especially as an addition to a green salad. If raw dandelion leaves don't appeal to you, they can also be steamed or added to a stir-fry or soup, which can make them taste less bitter. The flowers are sweet and crunchy, and can be eaten raw, or breaded and fried, or even used to make dandelion wine. 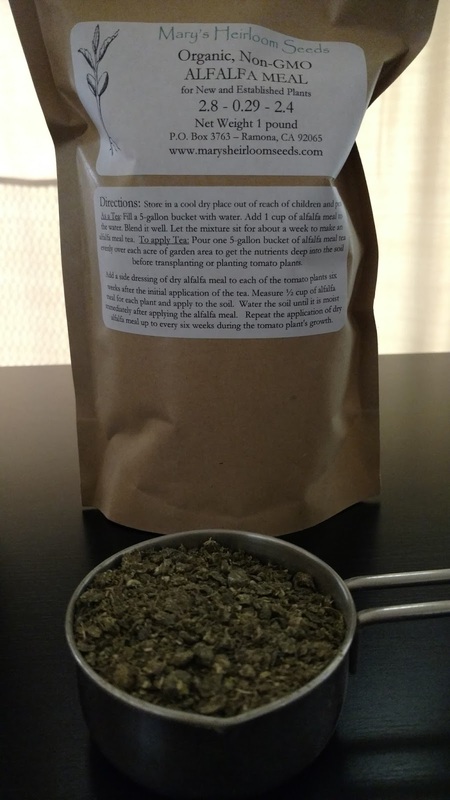 The root of the dandelion can be dried and roasted and used as a coffee substitute, or added to any recipe that calls for root vegetables. 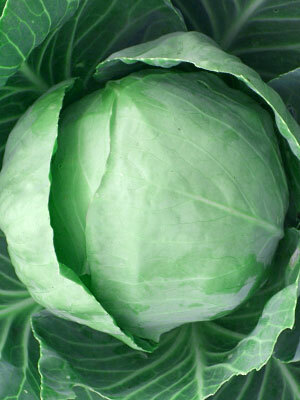 NEW Heirloom Cabbage varieties for 2017! Organic Garlic orders are shipping out every day. If you have not received your email notification and are wondering when your Garlic will ship out, please feel free to send us an email. Thanks and hope you enjoy our Cool-Crop info! It's getting cooler in parts of the US as we prepare for FALL planting. 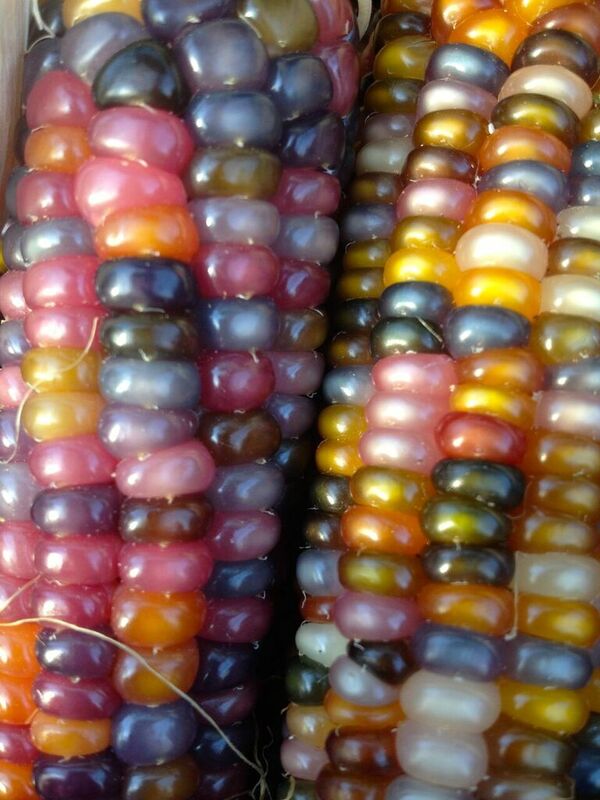 Each of the varieties listed above are links to our heirloom & organic, non-gmo & non-hybrid seeds. We now offer over 400 varieties! 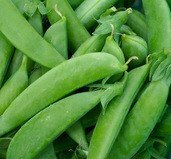 In case you missed it, we have other new varieties that were announced over the last 2 weeks. We are currently working on new labels and packaging. If you purchase any of the NEW varieties for 2017, your order may be delayed up to a week. Please have patience as we are working as fast as possible gearing up for the 2017 planting season. Our unique selection of cool-weather crops is perfect for your fall garden. This combo pack Includes 7 varieties of individually packed seeds. Depending on where you live, many of you are planting FALL Crops. This is a great way to extend your growing season and save money! If you have never planted a Fall garden but you would like to, this is a great opportunity. If you're on the fence about planting a Fall garden, this is definitely a must-read! RADISH everywhere!!! Yes, I'm that excited about Growing Radish. 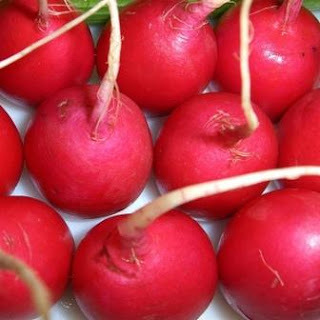 From Seed to Harvest, many Radish varieties are ready to harvest in 23-35 days. 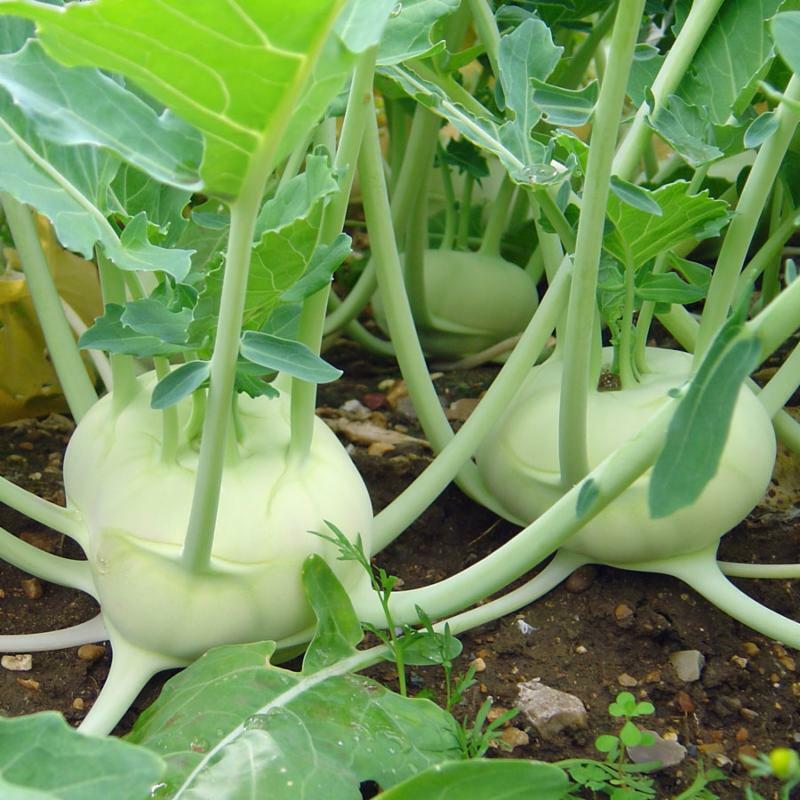 Longer & larger varieties such as the Japanese Minowase Radish can take up to 70 days. "Sow radishes in the garden 2 to 3 weeks before average date of the last frost in spring. Sow succession crops every 2 weeks in spring and in autumn. 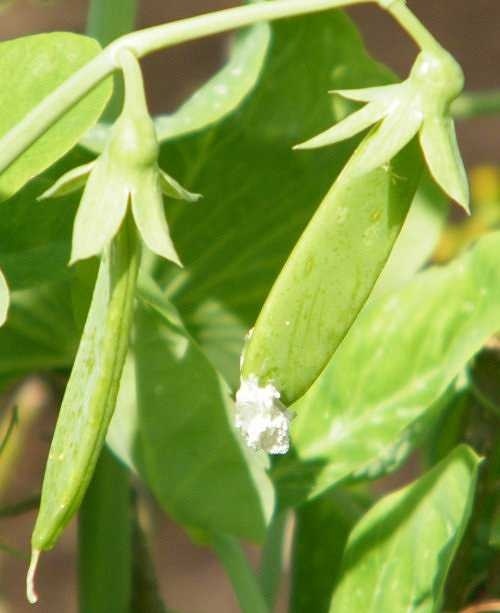 Two or more crops can be grown in spring. 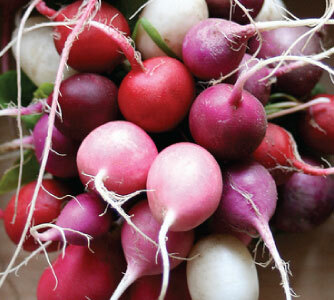 Radishes require 22 to 70 days to come to harvest. Warm weather can result in small roots. Long days may also cause radishes to flower; plant radishes during the shorter days of spring and autumn. 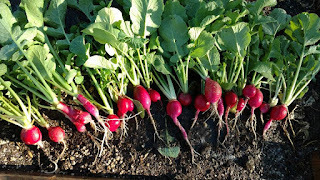 In mild winter regions, grow radishes in late autumn and early winter. Radishes can withstand frost. Keep radish planting beds moist but not too wet. Even, regular watering will result in quick growth. Radishes that receive too little water will become woody tasting. Prepare planting beds with aged compost. 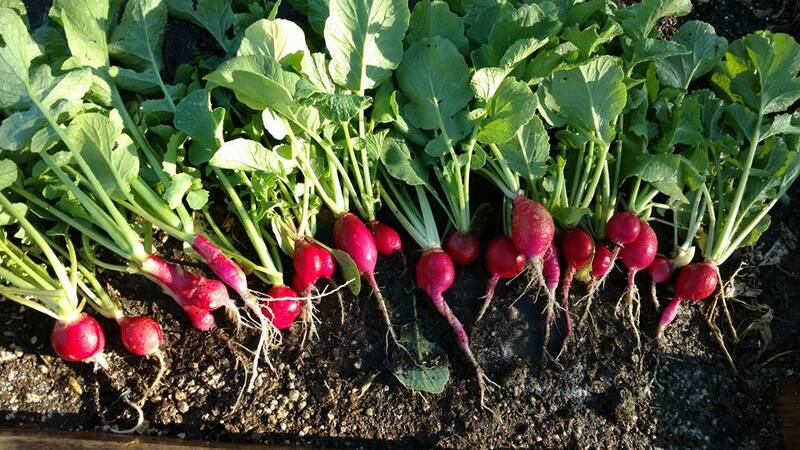 Side dress radishes with aged compost at midseason." **That means you'll spend almost $25 for 100 radishes!!! Don't like raw Radish? Try Pickled Radish! 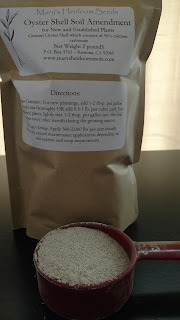 I just posted the recipe to our blog. 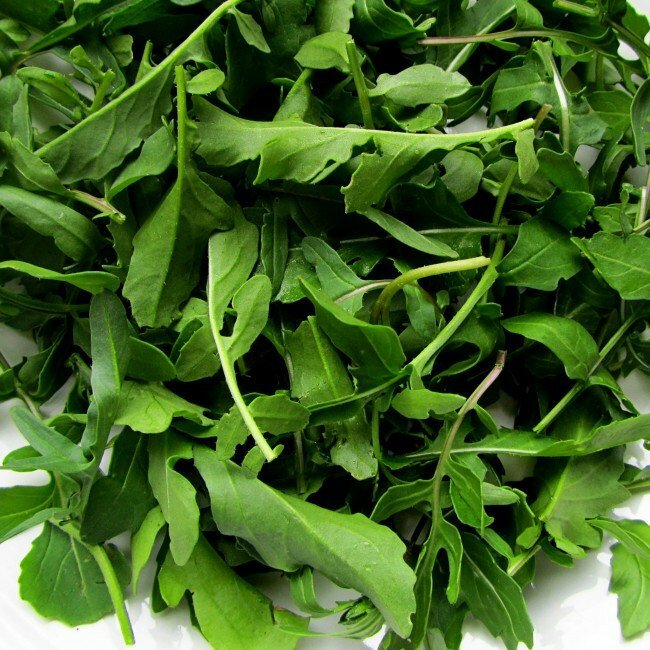 ARUGULA is another great Fall Crop. From seed to harvest, Arugula is ready to start eating in as few as 40 days. You can harvest the entire bunch or just a few leaves at a time. "Plant seeds 1/4 inch deep in moist soil. It is best to sow lettuce or spinach seeds thinly in rows spaced about 1 ft. apart or simply scatter the seeds in blocks. 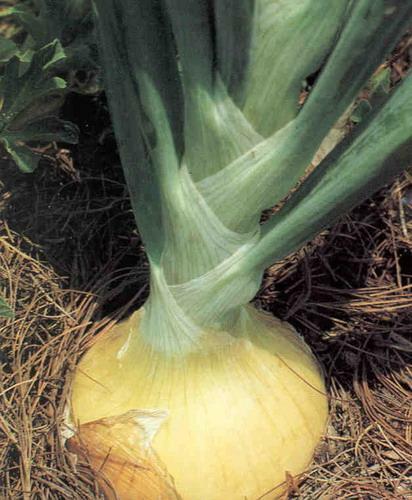 Cover lightly with soil, firm in place and water well. Keep the soil moist until germination. 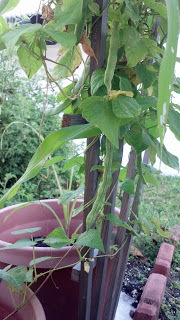 Once the plants have a grown their true leaves, you can begin to thin the plants to about 6" apart." At Mary's Heirloom Seeds, a packet of Arugula seeds is $3.00 and contains 200 seeds. Even if only 90% of those seeds germinate (almost 100% of mine grow! ), that still leaves 180 plants! If you save your seeds...The savings are incalculable! 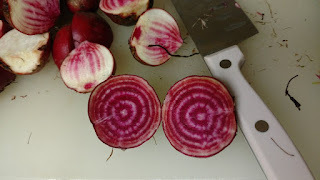 BEETS are another easy Fall crop. 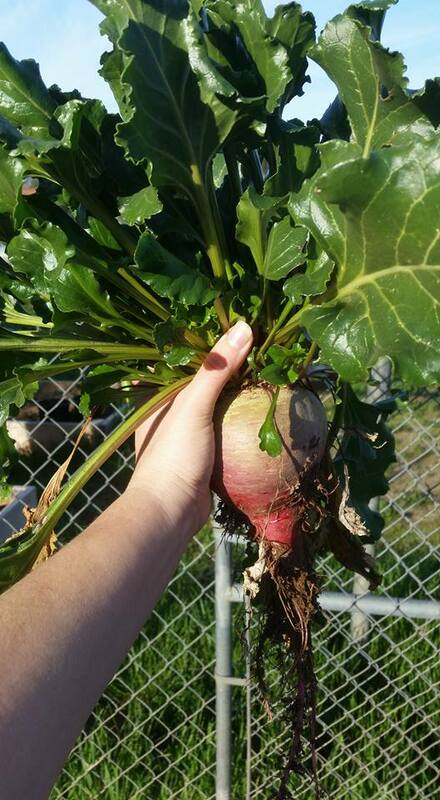 From seed to harvest, beets reach maturity at approx 55 days! **Leave them to grow longer for larger beets** BEETS are a "double-duty" crop for us. When we harvest beets, the greens are used raw in salad or sauteed with garlic and onions (just like spinach). The actual beet has many uses! We roast them with garlic & olive oil, shredded over salad and even pickled! "Beets are fairly frost hardy and can be planted in the garden 30 days before the frost-free date for your area. Although beets grow well during warm weather, the seedlings are established more easily under cool, moist conditions. 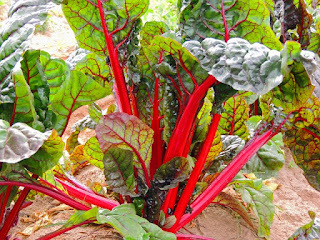 Start successive plantings at 3 to 4 week intervals until midsummer for a continuous supply of fresh, tender, young beets. Irrigation assures germination and establishment of the later plantings." 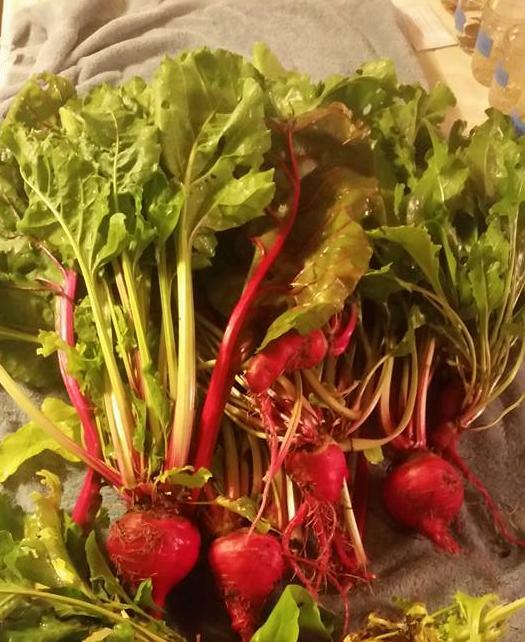 **That's over $65 for 100 beets and that doesn't even include the greens! I could go on and on but I think you get the picture. 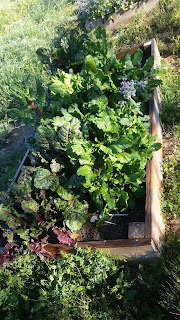 Growing your own organic food is fun, rewarding and it can save you a lot of money. Bonus, you know exactly how your food is grown and it didn't have to be transported in from thousands of miles away. What are some other Fall or Cool Weather crops? 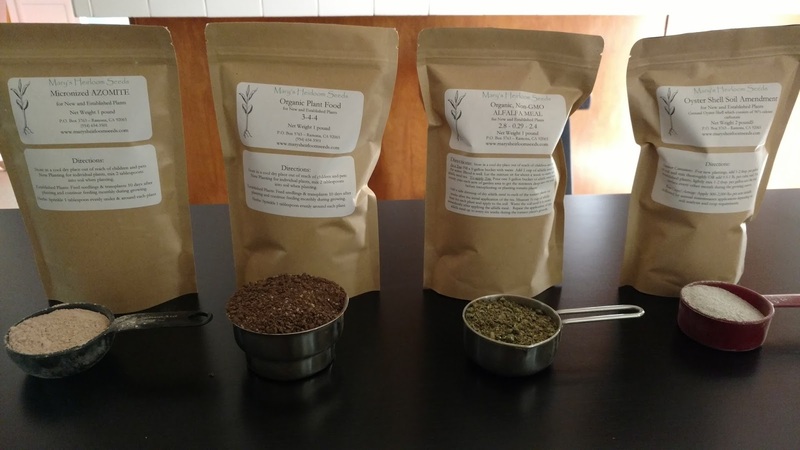 Fall is a prime time for planting the hardiest herbs that actually grow very well in areas with mild winters. You can put an assortment of your favorite cool-weather-loving fall herbs by the kitchen door—all in one container, if you like—for a pinch of each right at your fingertips. You can also plant pretty cilantro and parsley in existing flower beds or containers to serve as a green companion for pansies and other winter flowers. With just a little early planning NOW, you can have several herbs that like cool weather this Fall. Fall Herb Garden suggestions include parsley (flat Italian or curled), sage, rosemary, thyme, chives, lavender, Basil, cilantro, and mint. Within a few weeks, you will be rewarded with the freshest flavors for autumn meals. I hope you have enjoyed another educational article. 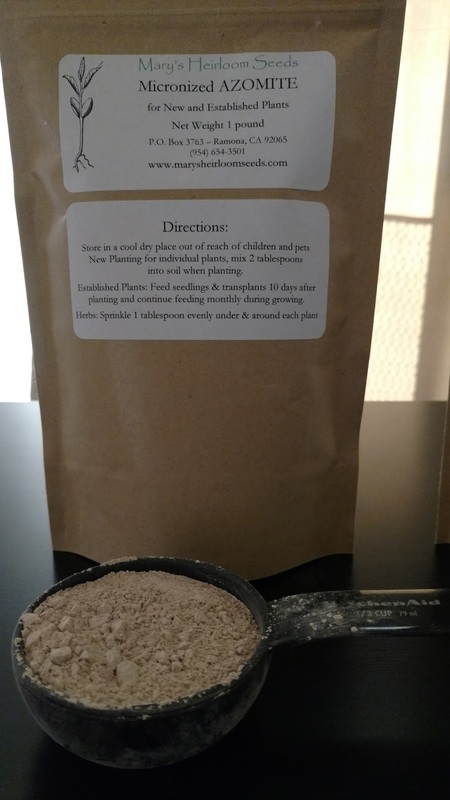 Please share so that we may help more people grow their own organic food! 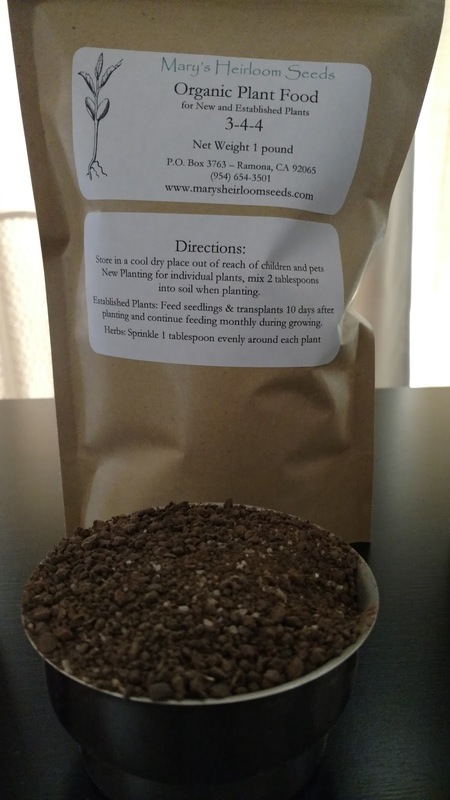 As promised, we are continuing to share our month-to-month, regions specific Planting Guide from Mary's Heirloom Seeds! Can you believe it's almost September? It's still super hot and we're already planning out our FALL garden! Bush & Pole Beans, Beats, Broccoli, Brussels Sprouts, Cabbage, Carrots, Cauliflower, Celery, Chinese Cabbage, Collards, Corn, Cucumber, Endive, Fennel Kale, Kohlrabi, Lettuce, Mustard, Bulbing Onions, Bunching Onions, Radish, Romaine, Sorrel, Spinach, Summer Squash & Winter Squash, Strawberry, Swiss Chard and Turnips. Wondering when to plant ORGANIC GARLIC? Pumpkins are a warm-season vegetable that can be grown throughout much of the United States. 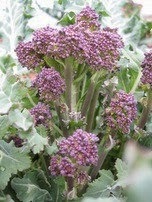 They require a fairly long period (3 - 4 months) of hot weather and can not tolerate any frost. Besides being used as Halloween jack-o'-lanterns, pumpkins are used to make pumpkin pies, soup, bread, butter, custard, and even cookies. 3 to 4 months of sunny weather, with day time temperatures of at least 70 F, preferably hotter. A very sunny location. The won't grow under trees and in the shade. Rich soil, that doesn't sit under water. Pumpkins like lots of organic matter: manure, grass clippings, leaves, compost should be worked into the soil ahead of planting. Water! They do need to be watered, a good soaking, at least once a week. Pumpkin is a very tender vegetable. The seeds will not germinate in cold soil, and the seedlings are injured by frost. Do not plant until all danger of frost has passed, and the soil has thoroughly warmed. 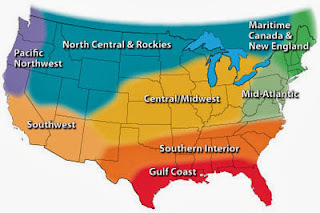 Basically, plant seeds late April through July in the deep South; and from late May to mid June in the north. Pumpkins grow as a vine, which means they take up a LOT of space. 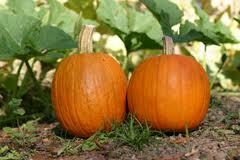 Pumpkins require a minimum of 50 to 100 square feet per "hill". Plant four or five seeds per spaced an inch or two apart in one hole (called a "hill"). Leave 5 to 6 feet between each hill. When the young plants are well-established, thin each hill to the best two or three plants. There are newer "semi-bush" varieties that do not vine quite so much (of course the yield is also smaller). Plant semi-bush varieties one inch deep (four or five seeds per hill) and thin to the best two plants per hill. Allow 4 feet between hills and 8 feet between rows. Bees, that are necessary for pollinating squash and pumpkins, may be killed by insecticides. Organic gardening and pest control methods should be employed (of course! ).